Set the scene with this smoking-hot collection of red, red and more red! 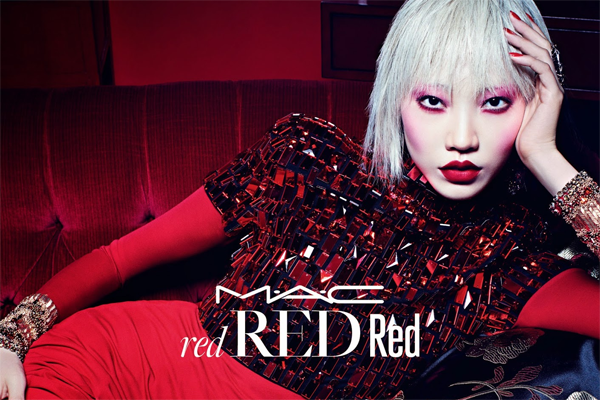 Eye Shadows flit the gamut from soft pink to true, fiery red, while Lipsticks and Cremesheen Glass run rampant up the scale from yellow-tinged tomato to soft orange and unabashed raspberry. Casual Colour brings complementary warmth to lips and cheeks in hues from coral to soft rose, while Nail Lacquer completes this look in bright pink, creamy orange-red or bright ruby frost with sparkles. Don’t hold back – when you go red, go red!